Now, I don’t want to make generalizations, but the people depicted usually seem to be from the North or Northeast. I’ve never heard a Texas girl say that. Ever. Oh. Okay, that makes sense. But I do that twice a year too. When I look at that closet, I think maybe I could add some shelves and hooks and it would be a nice shoe and purse closet. But that’s about it. And that just makes me sound spoiled. There’s no such thing as a traditional season. 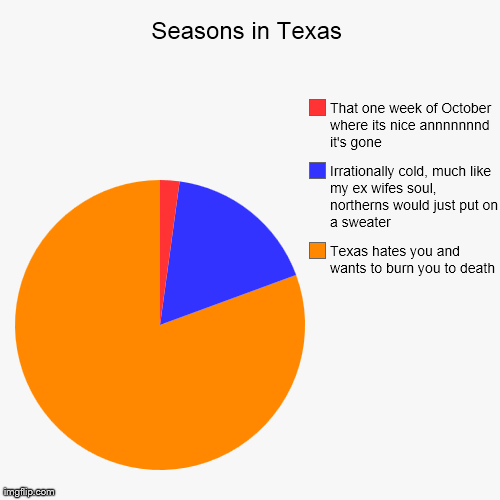 If you load your closet with sweaters and pack up short-sleeved shirts, you’re just dooming yourself. It’s a rookie mistake. 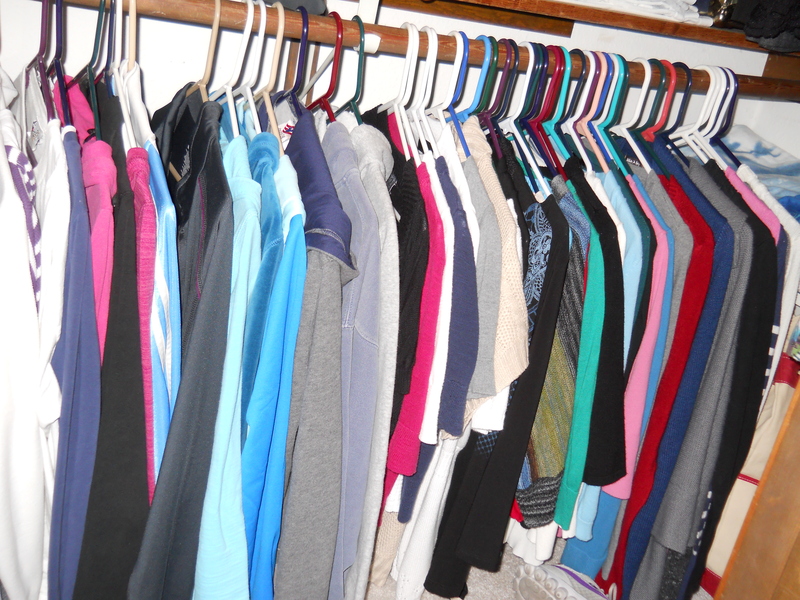 In Texas, transitioning your closet is LESS about changing clothes out, and MORE about making room to add extra clothes. This was my challenge this weekend. Challenge. Accepted. First off, it turns out I have 23 cardigans. Does that number seem low to anyone else? (You can never have too many cardigans). Long sleeved, short sleeved, 3/4 sleeved. I ♥ cardigans. 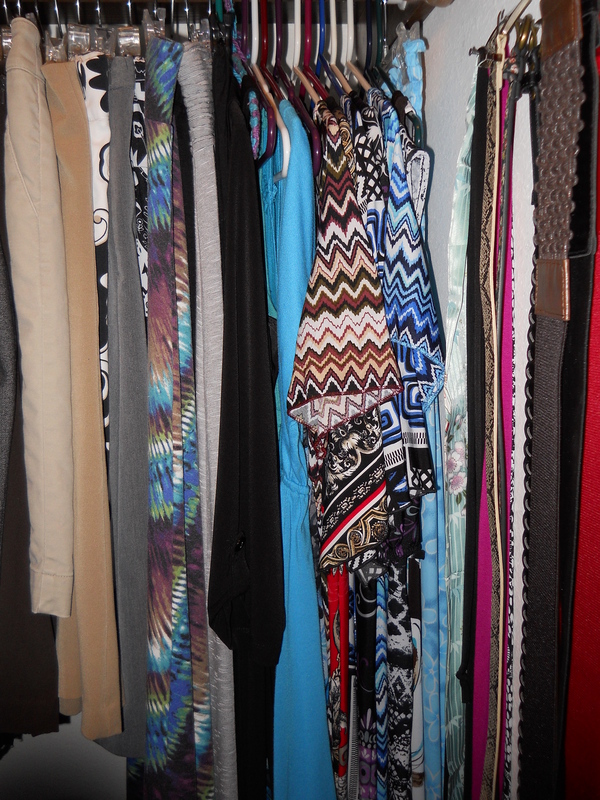 So my bottom rack is dedicated 1/2 to cardigans (and other sweaters), and 1/2 to post-workout cover ups. I think this speaks volumes about me…I’m sure a psychologist would have all sorts of things to say about that. I created a divider in my closet with a small shelf (it’s supposed to be for shoes. I’m using it to it’s fullest purpose! 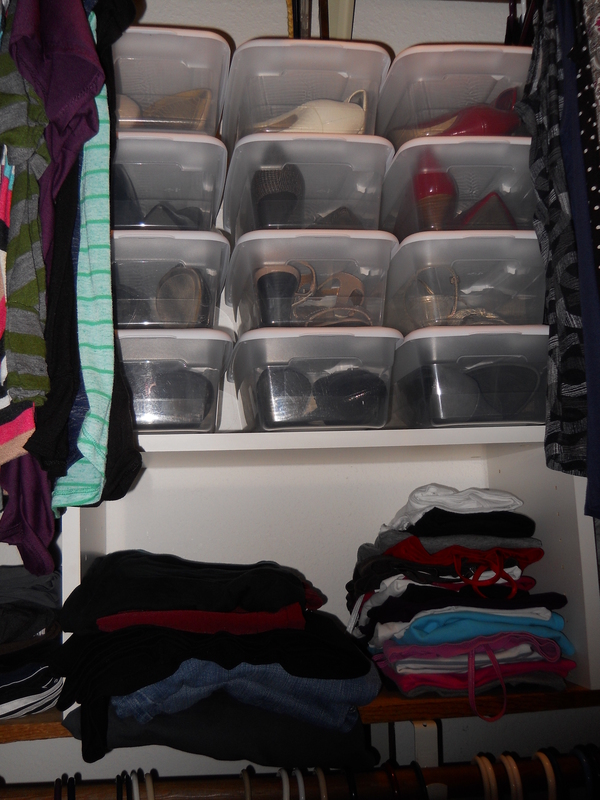 ), where I stacked all of my beautiful heels that I don’t get to wear right now (at least I get to look at them?). 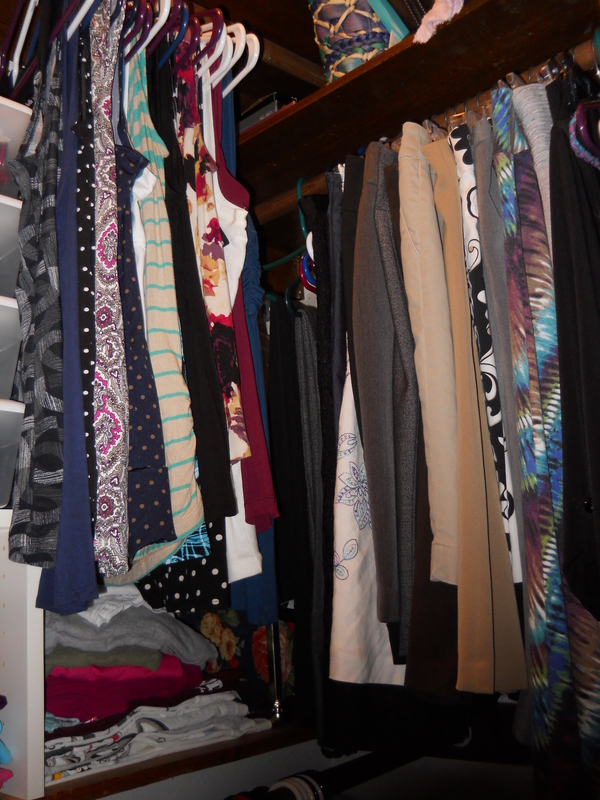 Underneath, I stacked my casual pants and jeans, and base layer tanks (no judging the tidiness of the stacks!). On the other side of the divider are my hanging tanks that I can layer (with cardigans! 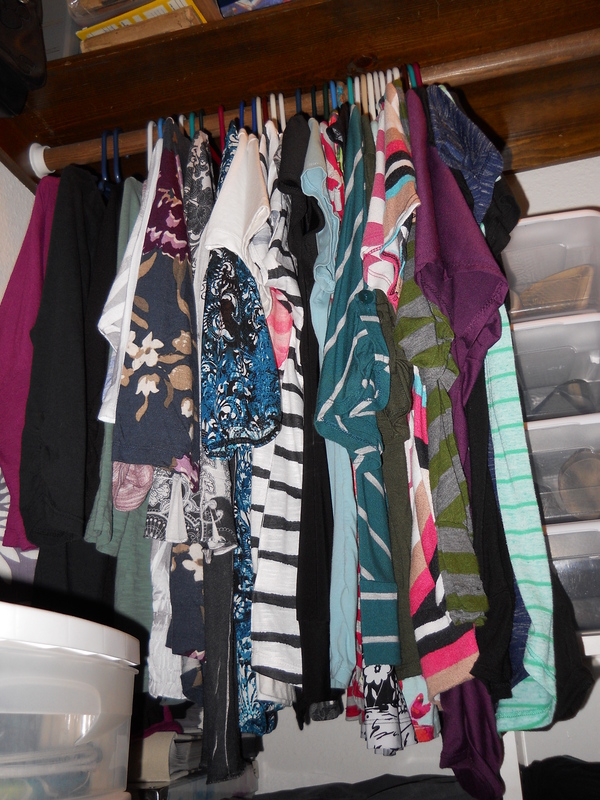 Weeeeeee) and all of my fun dresses, skirts, and dress pants (*sniffle* I miss wearing pretty clothes). 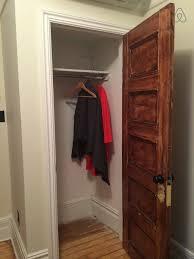 So in conclusion, a girl in Texas is not SPOILED for wanting a walk-in closet, it’s really a NECESSITY. There’s no way around it. 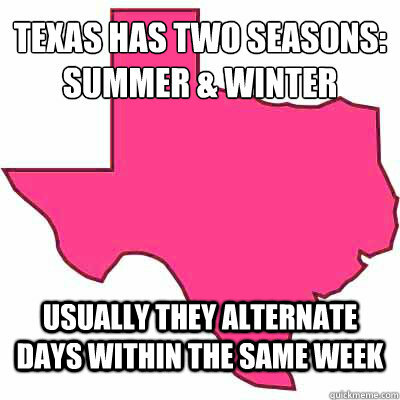 What creative ways do you have for handling the seasonal transitions?